Mrs. Pustakam Ramaa (Vocal): An accomplished vocalist from Bangalore, trained under Smt. 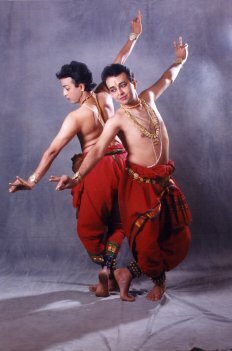 Nagamani Srinath and later under R.K. Srikanthan. She has given many performances all over India. She has been accompanying leading performers of India. She has performed all over India, and also Europe and U.S.A. She has been fecilitated by Karnataka Sangeeta Nritya Academy in 1998 and by many other prestigious associations. P. Janardhan Rao (Mridangam): Initially trained under M. Srinivasa Rao, later from M. Vamdeva Rao. He accompanied leading artists of Karnataka in music and dance. He was invited from all over India, U.K, U.S.A and Europe for his superior quality percussion support. Mrs. Seema Kasthuri (Nattuvangam): An accomplished vocalist and budding dancer, trained in music under K.R.Venkatesh from Hassan and Chintalapalli Ramesh. She has taken part in Soorya Dance production, such as Jnana, Charishnu. Dr. Jaishree Prasad (Veena): A disciple of Padmabhushana Dr. Doraiswamy Iyengar and Smt. M.K. Saraswati. She holds a Ph.D from Bangalore University. She has performed in major festivals such as Lotus festival, Indiana. She has given regular concerts on All India Radio. At present, she teaches veena and vocal in Chicago to interested people.